SHENZHEN, China — The Chinese scientist who says he helped make the world's first gene-edited babies veered off a traditional career path, keeping much of his research secret in pursuit of a larger goal — making history. He Jiankui's outsized aspirations began to take shape in 2016, the year after another team of Chinese researchers sparked global debate with the revelation that they had altered the DNA of human embryos in the lab. He soon set his mind on pushing the boundaries of medical ethics even further. The China-born, U.S.-trained scientist once confided to his former Stanford University adviser his interest in gene-edited babies. He told The Associated Press last month that he had been working on the experiment for more than two years — a period in which, by his own account, he concealed information from some medical staff involved in the research, as well as apparently from his own bosses. He took advantage of the loosely worded and irregularly enforced regulations and generous funding available today in China, in some cases skirting even local protocols and possibly laws. "The enormous ambition in China, the desire to be the first, collides with the desire to create and enforce standards," said Jing-Bao Nie, an expert on Chinese bioethics at the University of Otago in New Zealand. 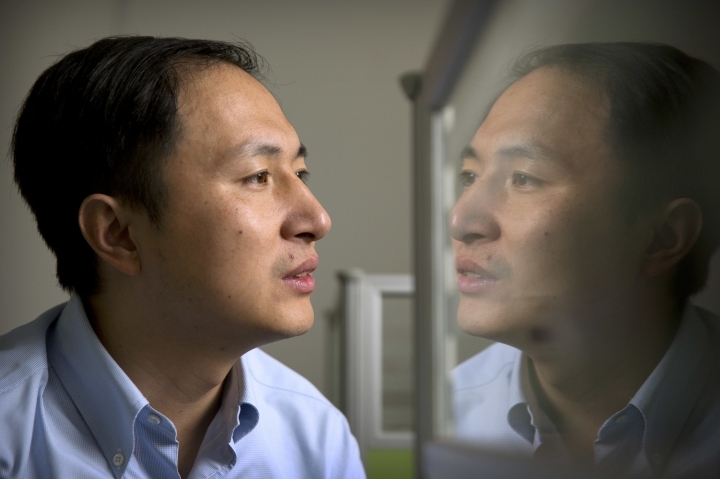 On the eve of an international gene-editing summit in Hong Kong this week, the 34-year-old scientist stunned the world by claiming he had used the powerful CRISPR gene-editing tool to alter the DNA of twin girls born earlier this month. His claim could not be independently confirmed, and it has not been published in a journal, but it drew swift outrage from both researchers and regulators. Mainstream scientists in China and globally said the experiment should never have been tried. "They chose to short-circuit the entire process. They went rogue," said Dr. Kiran Musunuru, a University of Pennsylvania gene-editing expert. On Monday, China's National Health Commission ordered local officials in Guangdong province — which includes He's laboratory in Shenzhen — to investigate his actions. It was not clear if he could face criminal charges. His career trajectory did not follow the expected script. He did not publish most of his earlier research on modifying mice and monkey DNA, as most scientists would have done. And the way he advanced his latest study included questionable decisions on secrecy and medical ethics. "If you're going to do something this controversial and this early, and you want to be the leader of this movement, you want to do it in an exemplary way," said Dr. Eric Topol, who heads the Scripps Research Translational Institute in California. He, who says his parents were farmers, was born in 1984 in southern China. At the time, the country was just beginning to emerge from the isolation of the Mao era, and the average annual income was only $300. Telephones were rare. Many villages were not yet connected by paved roads. Initially, He followed a common path for scientists of his generation. After graduating from the University of Science and Technology of China, he moved to the United States for graduate studies. There he earned a Ph.D. in biophysics from Rice University in 2010, then spent a year as a postdoctoral research fellow at Stanford. His Stanford adviser, Stephen Quake, described him as "super bright" and "at the cutting edge of trying to apply new technologies to biology." In 2012, He returned to China to take up a post at Southern University of Science and Technology — an institution that opened only a year earlier and is partly funded by the government of Shenzhen, a southern Chinese city known for its technology companies. "He was really interested in the notion of human genome editing," and what situation would be appropriate, said Quake, recalling one of He's visits. Quake gave feedback, but did not oversee the study. He's research could not have been legally conducted in the U.S. or in most of Europe. 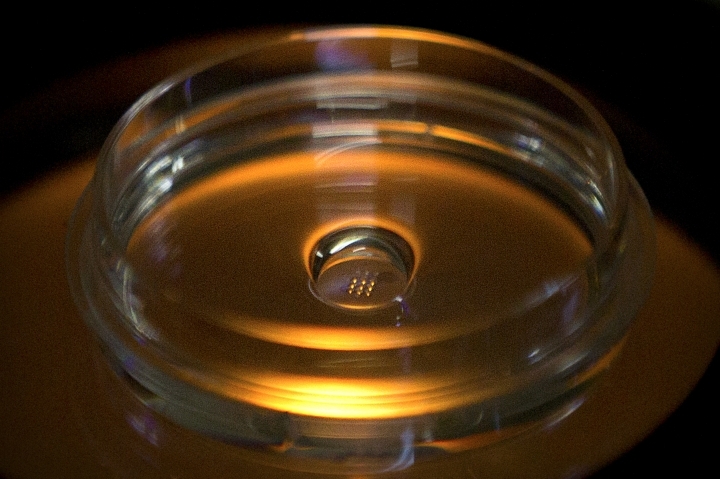 China has banned human cloning for reproduction. In 2003, its Ministry of Health issued a guideline to in-vitro clinics barring "clinical experiments which violate ethical or moral principles." The young scientist saw this ambiguity as an opportunity. Sometimes researchers — Chinese or foreign — who can't secure funding or permission for unconventional projects in the U.S. or Europe find financial support and openings in China. Ren Xiaoping, a surgeon who aims to perform the first human head transplant, worked for many years in U.S. hospitals but returned to China because a medical institute in his hometown of Shenyang agreed to support his research. Guoping Feng, a neuroscientist at the Massachusetts Institute of Technology, works with a research facility in Guangdong province where his associates genetically engineer monkeys with brain disorders to study the development of autism-like symptoms. China has fewer restrictions on the use of lab animals. In 2016, He reached out to an AIDS advocacy group in Beijing to help him recruit potential study participants — couples trying to have children where the man was HIV positive. There are already well-tested ways to guard against transmission of the AIDS virus in IVF. Instead, He's goal was to rewrite DNA before birth to make children less likely to contract HIV after they're born. Other scientists have tested similar gene-editing techniques on cells in a lab dish to prevent inherited diseases, but not leading to live births. For his CRISPR work, He did not seek prior approval from federal regulators. He listed his study in an online registry of Chinese clinical trials on Nov. 8 — long after it began. His lab skirted norms that many of his Chinese peers uphold. For example, the lab did not inform all the medical staff directly assisting the expectant couples that the study involved gene editing. They believed they were assisting in standard IVF attempts, with an additional step of mapping the genomes, not manipulating the embryo, according to one of the embryologists involved in the research, Qin Jinzhou. Patient consent forms referred to the study imprecisely as an "AIDS vaccine development" program. He also sought consultation from an ethics committee outside the hospitals involved in the research. Lin Zhitong, founder of the Shenzhen Harmonicare Women & Children's Hospital, told the AP in October that his hospital's ethics committee advised He, but had no other involvement. Withholding information from medical staff about gene editing was acceptable because some fertility doctors may not agree to help HIV positive couples, said Lin, who also said he has not worked as a doctor or scientist, but comes from a family of hospital property developers. Deceiving or working around any study participants is not standard practice in China, "and it violates the broad spirit of informed consent," said Nie, the bioethics expert. "In some cases, ethics committees are just rubber stamps." After He's claim, Harmonicare released a statement condemning human gene-editing and announced an investigation into any ties with He's lab. The Shenzhen scientist released some findings in YouTube videos. He announced his feat in English, not Chinese. "He wanted to attract attention in the international community. Now he got what he really wanted," Nie said. He's own university was kept in the dark. Southern University of Science and Technology said in a statement that it was not informed about He's work, and that it "seriously violated academic ethics and standards." He's research team included his former Rice adviser, physics professor Michael Deem, who sits on the scientific advisory boards of He's two genetics companies. Rice said it has launched an investigation into Deem's involvement. 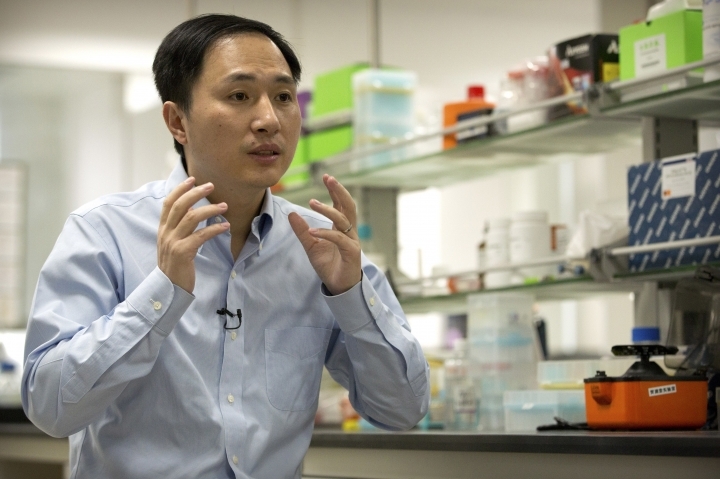 In an interview last month at his Shenzhen lab, He said gene-edited babies were inevitable. He wanted to be first. "There will be someone, somewhere, who is doing this," he said. "If it's not me, it's someone else." Follow Christina Larson on Twitter at https://twitter.com/larsonchristina . AP Chief Medical Writer Marilynn Marchione in Hong Kong, researcher Fu Ting and video journalist Emily Wang in Beijing contributed to this report.